Team Viewer allows us to take control of your computer via the internet, from anywhere in the world. If you need support with the initial set-up we can link to your P.C. and help remotely with getting your engine started. We can make some basic adjustments to the map to get you into a position where you can get to a rolling road. This is a support facility, not a substitute for proper mapping on a rolling road. 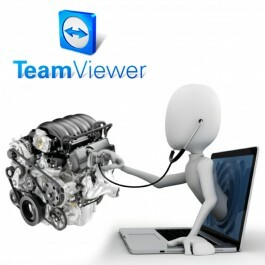 To arrange a Team Viewer session simply call us on +44 (0) 1953 889110. (Choose your operating system then click Download).